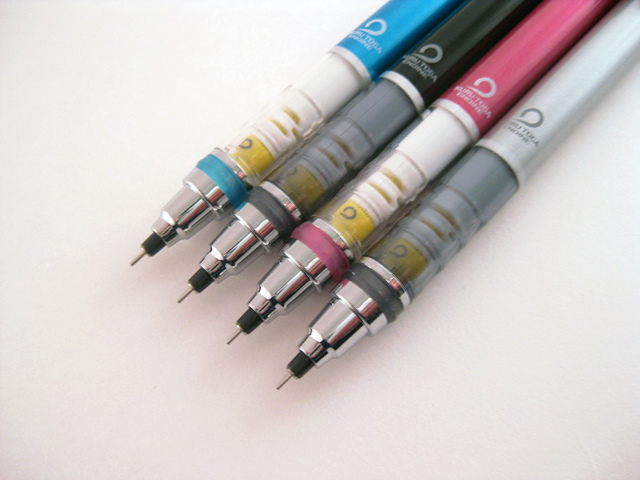 Yet another innovation from Japan. 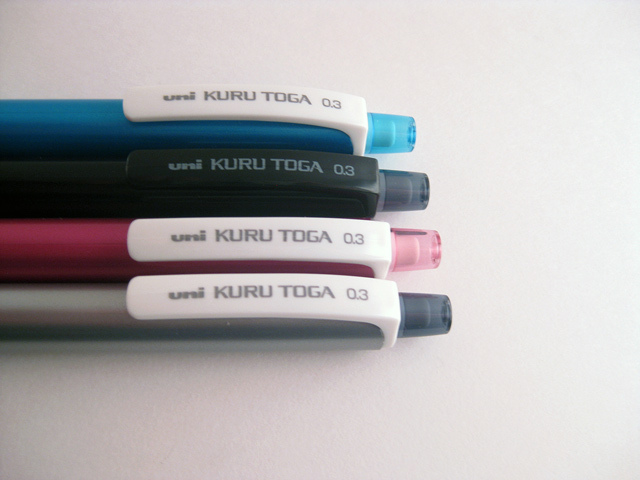 "Kuru Toga" means "auto-rotate pencil" in Japanese. 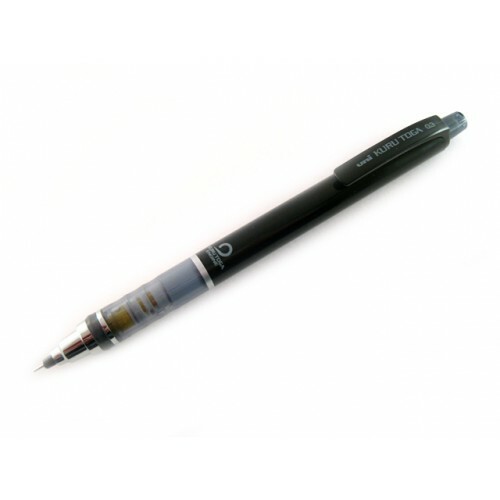 It is indeed an auto-rotating mechanical pencil. 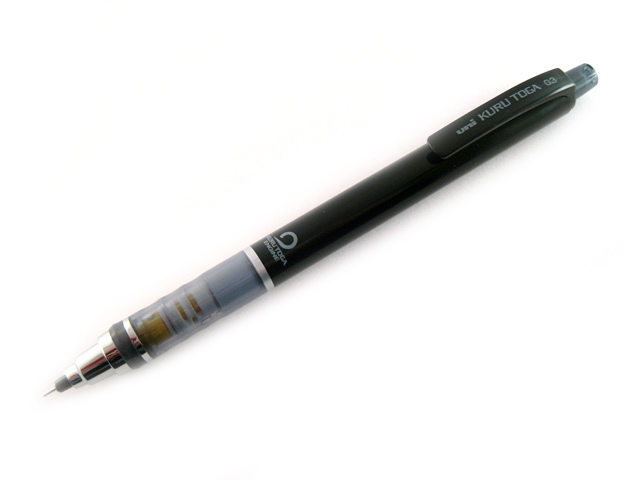 Every time the pencil is pushed against the paper, the internal gear automatically rotates the lead 9 degrees. 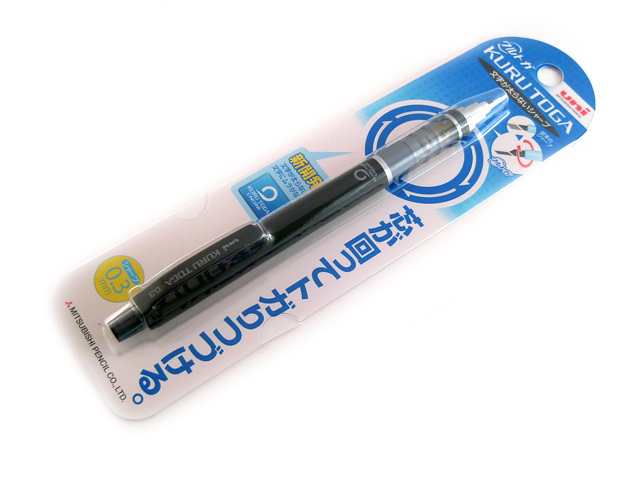 This auto-rotating mechanism allows the Kuru Toga to maintain a sharp point when you write. No chisel edges ever! Chisel edge also makes the lead more prone to break due to the inbalance it introduces. So no chisel edge means more sturdy and long-lasting leads. This is the other benefit of the auto-rotating mechanism.